Time taken to load the diagram using Visio Web Access web part is very high. Microsoft no longer is recommend to use Visio Services with SharePoint Online. We no longer recommend using Visio Services (also called Visio Web Access) or the Visio Web Access Web Part with SharePoint Online. These features will be retired from Office 365 and SharePoint Online. We will stop Visio Services and stop supporting the Visio Web Access Web Part in September 2018. Note In SharePoint Server, these features will be supported in accordance with the Microsoft Lifecycle Policy. Use Visio Online from now on. 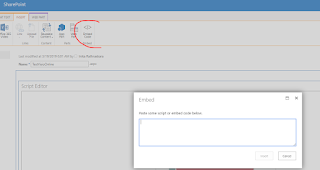 Visio Online is your choice for future solutions in SharePoint Online. 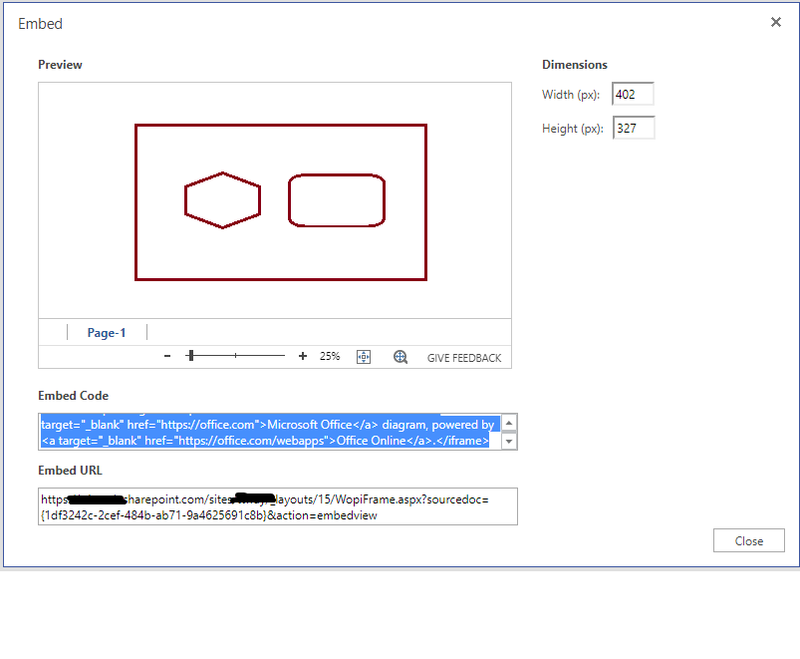 Visio Online is a new way to view, edit, and share Visio diagrams on the web. 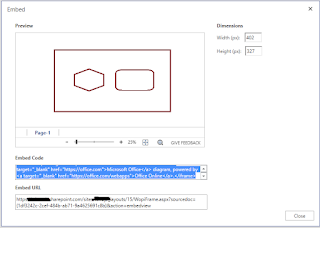 For more information, see View, create, and edit a diagram in Visio Online and Visio Online help. Edit the page you want to add the diagram. Only reason why I used the above approach is to hide the toolbars and borders. You can use the following approach as well. 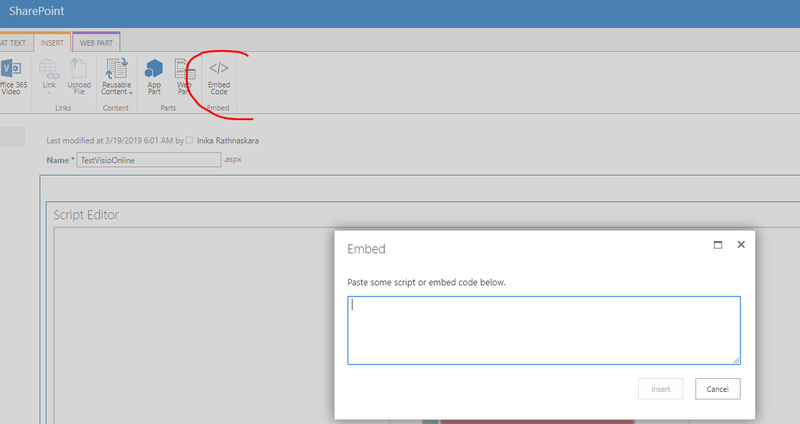 Copy that into an "Embed Code" snippet in a page. We, 99X Technology, won the Great Place To Work award for the third consecutive year recently. It is indeed a fantastic feeling to be a part of this achievement as an employee. To achieve this award for 3 consecutive years is a phenomenal effort, in my opinion. We are the only Sri Lankan IT company to be listed for three consecutive years as one of Sri Lanka's top 20 Best Companies to Work For. Not only that, we are also the first and only Sri Lankan company to be named one of Asia's 25 Best Workplaces in the small and medium-sized workplaces category. Problem: After updating terms in term store, the value is not reflected in the list view. But in edit form it shows the updated term value. Solution: Having done some investigation, figured out that the, TaxonomyHiddenList for the site collection has not been updated by the “Taxonomy Update Scheduler” timer job. In order to sync the list manually, ran the following PS command. $site = Get-SPSite "site collection url"
I am not going to reinvent the wheel here.There is a very nice post on this topic. This is surely going to be a quite a different experience for some of the SharePoint geeks in the community.Simply because, we are planning to have one kind of a hands on experience with SharePoint.